Sodium laureth sulfate is a chemical found in shampoos, conditioners, toothpastes, cosmetics, soaps and various cleaning products. Even products labeled organic or natural can contain this detergent. Although it is an effective cleaner, some people have expressed safety concerns about sodium laureth sulfate and claim it can cause a number of health problems, including cancer. Sodium laureth sulfate and sodium lauryl sulfate are not known carcinogens, according to the American Cancer Society. However, some studies show the harsher sodium lauryl sulfate may cause mutations that could lead to cancer, notes Columbia University's Health Services advice column "Go Ask Alice!" However, the evidence isn't clear whether the small amounts used in shampoos and other personal products would be enough to cause cancer. Although sodium laureth sulfate isn't known to cause cancer, it is a known irritant, causing skin and eye irritation, according to a July 2010 report published in the "International Journal of Toxicology." 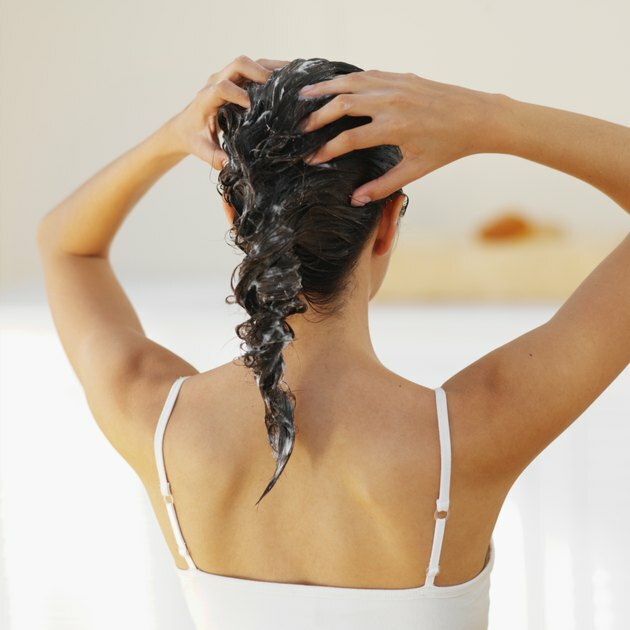 Sodium laureth sulfate can cause an itchy scalp and hair loss when used in shampoos, especially if not formulated to be non-irritating. While you are looking over your shampoo label, you might want to check to see if it contains coal tar, parabens or phthalates, which are often included in the general term "fragrance." You should avoid these as they may increase your risk for cancer, according to the Environmental Working Group. Most people experience no problems with irritation from using shampoos containing sodium laureth sulfate due to the small amount used in shampoos and the formulation used in these products. Even though sodium laureth sulfate isn't linked to cancer, if you want to avoid this chemical, try checking the ingredients of organic and environmentally friendly products. Although they sometimes contain these ingredients, this is less likely than with conventional beauty products.